While many local watering holes have the distinction of being dubbed Irish pubs, there is perhaps none more authentic in Hoboken than Willie McBride’s. Located off the beaten path, Willie’s stands out as a place you’d stumble upon while walking the streets of Dublin- a loud, ostentatious exterior, equipped with flags hanging overhead, signs featuring full pours of Guinness, and the requisite chalkboard featuring the specials of the night. Unfortunately there are scant bars within proximity to Willie’s. But fortunately for you, the bar is so massive and fun that it’s unlikely you’ll need to head anywhere else. Inside, the first thing you take note of is the lengthy half-horseshoe shaped bar, backed by some of the friendliest most engaging bartenders anywhere in Hoboken. The surrounding walls are drenched with Irish tchotchkes from four leaf clovers to booze-laden paraphernalia, under the glare of the 18 high definition TVs throughout the place. And if you can manage a seat at the front bar, Willie’s is an ideal destination for sporting events. Overhead sits a walkable balcony which looks down upon the bar and again, harkens back to a boisterous Dublin bar scene. Perhaps most notable about Willie’s is that, because of its relatively veiled location, the bar offers free weekend shuttle service (via limo!) to the its front door- the only place in Hoboken that I can think of with that kind of service. When the front bar is full- and it certainly gets packed- the back room is massive. 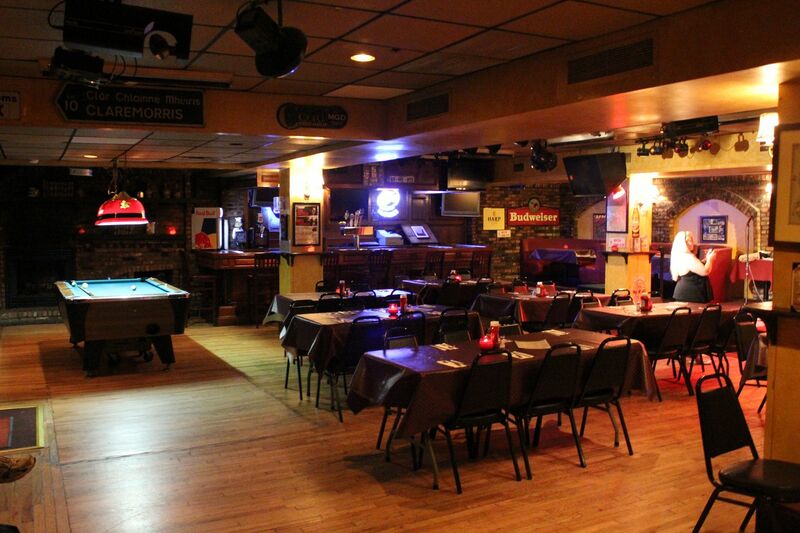 An ideal place to host a private party, the back area is outfitted with table seating and a pool table, but is flexible enough to be suited for a karaoke night for amateurs or a stage setup for live music. Best of all, the drink specials in either bar rival some of Hoboken’s finest with Miller Lite draughts being poured at $2 a pop every day of the week. I managed to secure a seat, slug down a few brews, share a laugh with a couple of Zog Sports girls, had some tasty jalapeno poppers (from their long list of $5 appetizers), flirt with the bartenders, and head out for the night. And when all was said and done, my bill was STILL dirt cheap. 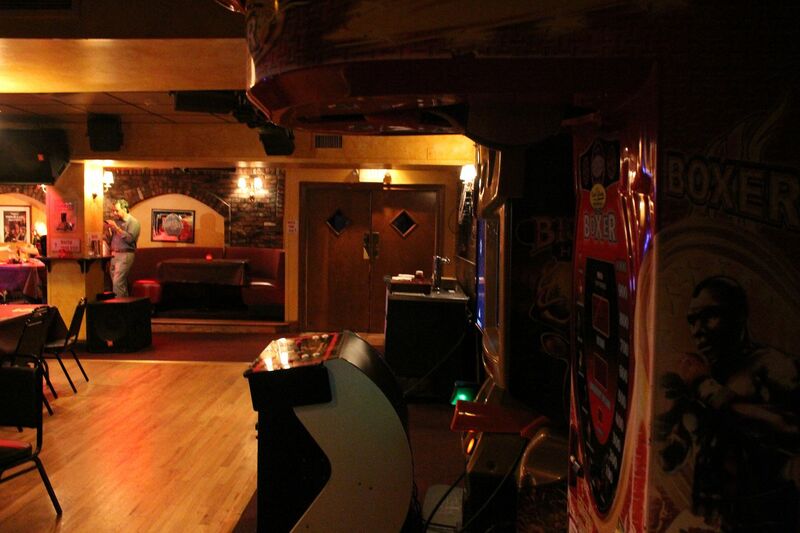 Preconceived notion – Your run of the mill Hoboken bar- cheap brews, young people. Bar Type – A much more traditional and authentic Irish bar than I had remembered. Having not been here in years, the bar space rivals The Shannon’s in sheer size, which is saying something. Crowd stereotype – Post-work locals, skewing a little bit older. During normal drinking hours though, the place gets packed with younger peeps. Music – A decent mix of Top 40 songs and rock. Value –Unbelievably so. $2 Miller Lites every day coupled with values on Coors Lights, Newcastles, and on Mondays- $9 for a burger and beer. But make no mistake- this is a beer bar. Date – Eh. You can do better for a date night. But if you’re looking for some casual bar fare with someone you’ve been out with a bunch, the menu options are vast. Hookup – Yessir! When the place gets poppin’ so do the buttons on your fly. Just don’t blow it. Dance – In the back bar with a DJ? Yes. In the front bar, on a Thursday night at 8 with a bunch of local electricians sitting around watching skiing on ESPN? No. Catch up with a friend – Definitely. Willie McBride’s lends itself to little pockets for conversation. First or last drink of the night – You can’t really go wrong with either. The location is spread out from a bunch of other bars so you might be better off starting here. But as a final destination or a pop in for a last drink, Willie’s is fine for that too. Overall – It’s not the nicest bar in Hoboken, but it’s certainly a step above your run of the mill dive bar. It’s been said that if you’re a jack of all trades, you’re a master of none but Willie McBride’s seems to have it all down pat. You can find that night out dancing, that night out for casual boozing with buddies, the place to watch a game and guzzle down cheap brews- all inside Willie McBride’s. And you can get a free limo ride there on weekends to boot. One of my perennial favorite bars in Hoboken; it’s just a shame that I needed this trip back over to remind me of how great it is. 9.1.